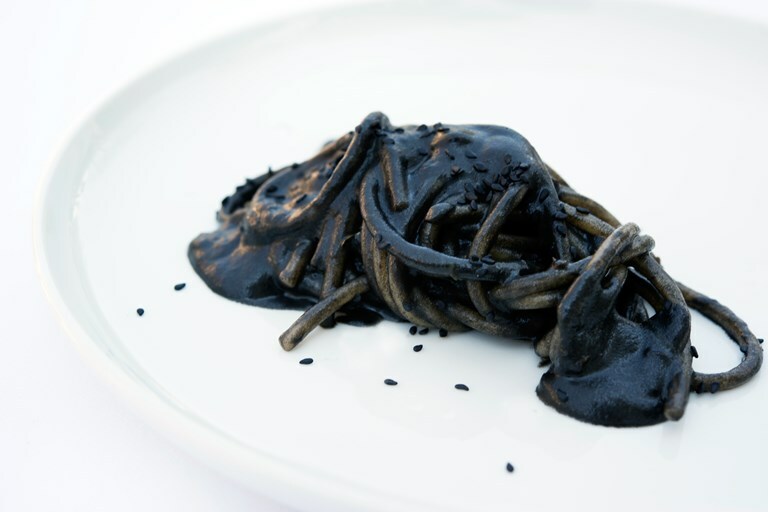 This unusual yet simple spaghettoni recipe is coated in a sweet onion and black sesame sauce for a striking finish to this pasta dish. The dish is flavoured with a punchy hit of colatura di alici – a fermented anchovy sauce. If you can't get hold of colatura di alici, you can add a small anchovy fillet when blitzing the onions and seeds.